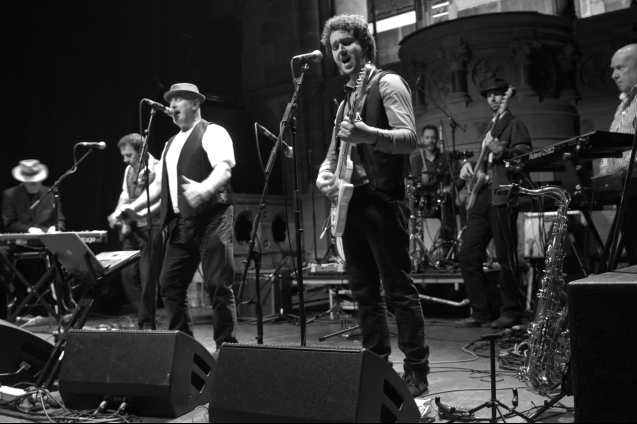 Scotland’s finest ambassadors for the very best of The Boss and The E Street Band are delighted to be making their debut at the FTH Theatre. The band, who are Glasgow-based, are increasingly spreading the Springsteen message to audiences across Scotland, England and Northern Ireland with a growing list of festival, theatre and club engagements, many of which are return bookings All the classics and the anthems are performed with massive attention to detail, and you will be on your feet before the end of the show ! You will be thrilled by the drive and energy of The Springsteen Sessions, and will go away exhausted and energised by a gripping and exciting two-hours-plus show !! A must for ALL music fans !! !